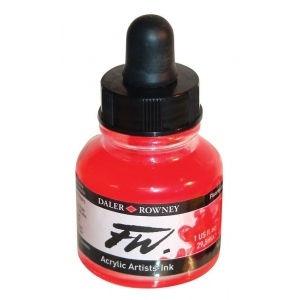 An acrylic-based pigmented water-resistant inks (when dry on most surfaces) with a 3 or 4 star rating for permanence high degree of lightfastness and are fully intermixable. 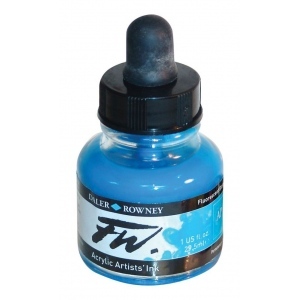 * Alternatively dilute colors to achieve subtle tones very similar in character to watercolor. 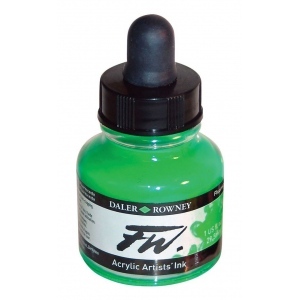 * Such washes will dry to a water-resistant film on virtually all surfaces and successive layers of color can be laid over. 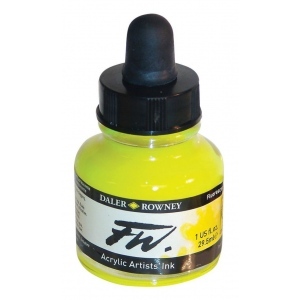 * Apply inks with technical pen fountain pen ruling pen brush airbrushes.